Those Bennet girls! What a delight to be around them! But do you think the servants found them all quite so lovely? In Longbourn, we find out. Longbourn is Pride and Prejudice turned upside down… or rather, as viewed from below-stairs. I think every blurb I’ve seen about Longbourn so far has described it as “Downton Abbey meets Pride and Prejudice“, and that’s a fairly good place to start. In Longbourn, maidservant Sarah is our main point-of-view character. Sarah has been in service to the Bennet family since she was a small girl, and while we readers of P&P all probably share a rather rosy view of the Bennet’s idyllic country life, it’s not quite as pretty when presented by Sarah. Through Sarah, we see what it really takes to run a household of that nature — laundry days, incessant scrubbing, tending to the girls’ bodily needs, turning pig fat into soap. Author Jo Baker doesn’t shy away from the nastier bits, and there are plenty. If Elizabeth had the washing of her own petticoats, Sarah often thought, she’d most likely be a sight more careful with them. In P&P, all is managed. Dirty clothes are taken care of. We never hear about chamber pots or dirty dishes, sweaty clothing or soiled sheets. In Longbourn, these are all the stuff of daily life. Through the effluvia of the Bennet household, the serving staff get to know the family intimately, and while it’s agreed that they are a decent sort to work for, it’s still shocking as a P&P fan to realize the utter cluelessness that the girls have regarding what a servant’s life is really like. Even wonderful Elizabeth — so beloved by all of us! — comes across as unaware at best or insensitive at worst, as her interactions with Sarah make clear that Sarah’s life is of no concern. Not that Elizabeth has harsh feelings toward Sarah — just that it doesn’t really occur to her that Sarah has feelings or issues of her own to deal with. Besides the household muck and mire, we see the country in quite different terms than in P&P as well. Yes, the important families and estates have their dinners and balls… but in the town, there are people going hungry, young men are enlisted to fight in pointlessly brutal foreign wars, and meanwhile the local garrison of the militia strut around like heroes while conducting their dirty business elsewhere. We may think of pretty BBC productions when we think of the Regency era, but in Longbourn, that pretty illusion is shattered. Make no mistake, this was not an easy time to live in without family money and connections, and the lives of the working class are not to be envied. Even for Mr. and Mrs. Hill, long established as head of the Longbourn staff and considered to hold a very desirable place in the household, it’s clear that this is not a comfortable or secure life. The lives of the servants are harsh and yet full of vitality. They are not shielded by manners and customs from the realities of their world. Matters such as fashion and reputation and whispers and inheritances are of small matter to people whose future security rests entirely on the whims of those they serve, who can be turned out at any moment into a world in which decent work is scarce, and whose ability to even secure a position is completely dependent on the willingness of a former employer to provide a reference. Seen through the servants’ eyes, the possible tarnishing of a young lady’s reputation is small potatoes compared to the specter of starvation and homelessness. Interestingly, for me Longbourn is at its strongest when it goes “off-book” entirely. The third section of Longbourn goes outside of the confines of the P&P world and explores the lives, secrets, and histories of the Longbourn characters in a way that’s completely unrelated to P&P. I loved this part of the book the most. The characters really feel alive to me here, and perhaps they need this extra freedom from the original story in order to become fully formed, with purposes and hidden desires of their own. Jo Baker clearly knows P&P inside and out, and as she explains in the author’s note: “When a meal is served in Pride and Prejudice, it has been prepared in Longbourn. When the Bennet girls enter a ball in Austen’s novel, they leave the carriage waiting in this one.” It’s fascinating to page back through P&P at random and find all of these points of intersection — the meals, the guests arriving at the door, the gowns fetched and fluffed — and seeing the work involved on the part of the Longbourn servants to make all of these things happen. Jane and Elizabeth confided with each other in anxious virginal huddles, whispering over letters, scandalized by the gossip that was now leaking back to them. Life was, Mrs. Hill had come to understand, a trial by endurance, which everybody, eventually, failed. The house was all up and down and front and back, and nothing sideways to it at all. 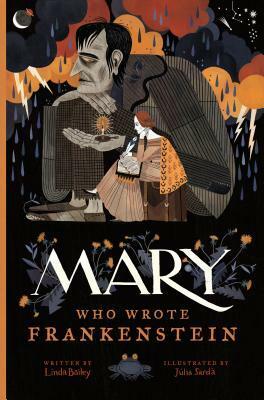 Sarah is the main character, but we also read sections told from the perspectives of footman James, Mr. and Mrs. Hill, and the small serving-girl Polly. Sarah is a strong, smart, determined, and utterly wonderful main character, and James too becomes completely fascinating as we get to know him better. Early on in the book, the shifting voices are a bit jarring, but as Longbourn progresses and we get to know each one on their own, the story is enhanced by allowing readers to see unfolding events through different eyes — especially as each character often has access to a different piece of the puzzle, and so a fuller picture emerges as we witness multiple views of the people and actions involved. Jo Baker is very faithful to the overall characterizations of the Bennets and their associates, although Mr. Bennet comes off in a less favorable light, and surprisingly, Mrs. Bennet and Mr. Collins are both much more sympathetic. In fact, I doubt that I’ll ever allow myself to feel my usual scorn for Mrs. Bennet, now that Jo Baker has given me a quite plausible (and sad) explanation for how she ended up the way she is. Overall, I’d say that there’s a lot to love about Longbourn. 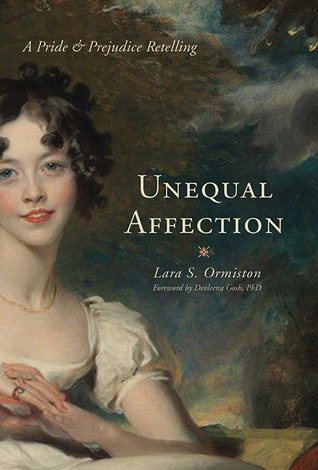 P&P afficionados will be pleased by the respect shown by the author toward Austen’s original text — and yet she also doesn’t hesitate to pull back the curtains and show us what else might be going on in this familiar world. Longbourn certainly stands on its own outside of the shadow of Pride and Prejudice. In fact, I could see the story of Sarah and the serving class making a fine novel without needing the framework of P&P — although undoubtedly the connection to P&P will help tremendously with the marketing and publicity for Longbourn. 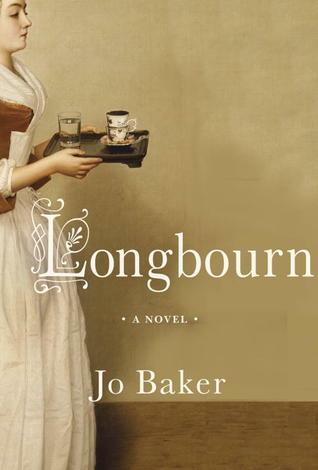 While I enjoyed the brief glimpses of the Bennets (and even Mr. Darcy, who makes only fleeting appearances in this book), Longbourn‘s main characters are compelling and their struggles and challenges held me captive. I didn’t need to see Elizabeth and Jane and the Bingleys — I had Sarah and James, and they’re pretty spectacular. It was one of those strange handicaps that afflicted gentlefolk, that they could not open a door for themselves, nor get in or out of a coach without someone to assist them. I’m a Pride and Prejudice fan, although I do usually try to avoid re-tellings, which mostly strike me as attempts to cash in without being terribly original. (Notable exceptions, for me, are Pride and Prejudice and Zombies and Death Comes to Pemberley — and in movies, Bride and Prejudice!) From the description, I’d say that Longbourn sounds a bit Downton Abbey-ish, with the focus on the happenings below stairs and how those crazy Bennet sisters create chaos for their mostly silent servants. 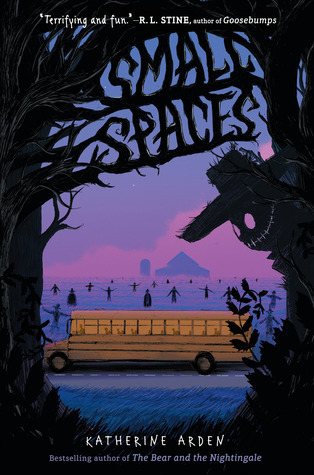 This strikes me as being a fresh approach to a familiar story, and I have high hopes for it! I’ve just received an ARC, which I plan to get to in the next few weeks, and I’m hoping Longbourn will be as fun and entertaining as it sounds. Do you host a blog hop or book blog meme? Do you participate in a meme that you really, really love? I’m building a Book Blog Meme Directory, and need your help! If you know of a great meme to include — or if you host one yourself — please drop me a note on my Contact page and I’ll be sure to add your info! I’m planning to see the Les Misérables movie tomorrow, and that got me thinking: What other movies, inspired by classic books, have I loved over the years? (Unlike most top 10 lists coming out at this time of year, my list is not specific to 2012). This is a totally subjective list, based on nothing more than my own enjoyment of the films. The only consistent criterion I’m applying here is that I’ve actually read all of the books mentioned. Reserving judgement, of course, until I’ve actually seen the movie, but just seeing the trailers has blown me away. I first saw the stage version of the musical in London many years ago, which was memorable for many reasons, not least because I had last minute tickets for cheap seats about a thousand balcony levels up and found the experience positively dizzying. Following that, I decided to read the book — not an abridged version, thank you very much — and walked away from that experience in love with the characters and with a deep and abiding knowledge of Parisian sewers and convents. I’ve since seen the musical several times, have listened to the soundtrack enough to have it memorized, and may even have splurged on a French version of the soundtrack. (But don’t tell; it makes me sound obsessive). 2) Pride and Prejudice: The BBC version, of course. There are countless other versions, remakes, modernizations, and reimaginings, and I even liked the Keira Knightley version (mostly because of Donald Sutherland as Mr. Bennet), but the BBC (Colin Firth) production wins hands-down for me. 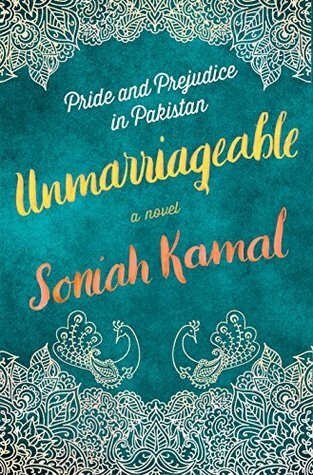 Although… Bride and Prejudice — c’mon, that one rocked. 3) Vanity Fair: Did anyone else read the book after seeing the movie? I loved Reese Witherspoon, Jonathan Rhys Meyers, and James Purefoy in director Mira Nair’s adaptation of William Makepeace Thackeray’s novel… but I ended up loving the book even more. Becky Sharp is not a nice woman, but boy, does she know how to make waves! 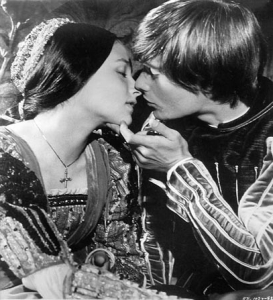 4) Romeo and Juliet: As with the Jane Austen books, there are countless movie versions of Romeo and Juliet, but the one that is unparalleled, for me, is the 1968 movie directed by Franco Zeffirelli. Perhaps because I first saw it at a young, impressionable age, I remember it as being incredibly sensual and beautiful and utterly romantic. I suppose I should watch it again one of these days and see how it’s held up, and then perhaps check out the Claire Danes/Leonardo DiCaprio version for comparison’s sake. And if we’re talking “inspired by”, mustn’t forget West Side Story either. Oh, Tony. Oh, Maria. 5) 10 Things I Hate About You: Sure, if we’re talking adaptations of Shakespeare’s Taming of the Shrew, I suppose I could have picked the Elizabeth Taylor/Richard Burton movie (which is wonderful, by the way) or perhaps the 1953 musical Kiss Me Kate, but in my mind, 10 Things I Hate About You is tops. This charming adaptation captures the comedy of the original, and Heath Ledger and Julia Stiles are just superb. 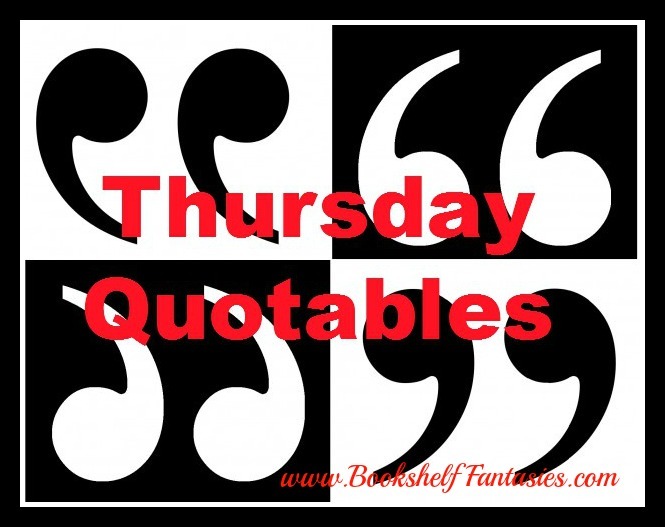 6) Emma and Clueless: Two great movies from one great book. I really love the Gwyneth Paltrow version of Emma (Jeremy Northam makes a dreamy Mr. Knightly), and Alicia Silverstone’s Clueless is a pitch-perfect ’90s update. Both movies are terrific. Don’t make me choose. 7) Dangerous Liaisons: Based on the 1782 epistolary French novel by Choderlos de Laclos, the movie was a perfect forum for a dazzling cast. Glenn Close and John Malkovich are absolutely deadly in this movie. Even Keanu Reeves was not too bad. Must. Watch. Again. 8) Jane Eyre: Again, another classic with many different movie adaptations. But for purposes of this list, I’m going with the most recent. The 2011 movie starring Mia Wasikowski was lovely to look at and wonderfully acted. Sure, the plot was a bit compressed at times and parts were skimmed over entirely. Still, the gothic mood of the moors was perfectly captured. My only complaint might be that Michael Fassbender is, in fact, too handsome to play Rochester. Not that that’s much of a complaint, really. 10) For my 10th and final choice, I’m going with a movie that has not been released yet, but which I’m oh-so-eager to see: Much Ado About Nothing, directed by Joss Whedon, and featuring a Whedon-verse array of favorites, including Nathan Fillion, Amy Acker, Alexis Denisof, and Fran Kranz. The movie is scheduled for release in June 2013. Who’s with me? So what are your favorite movies from classic books? 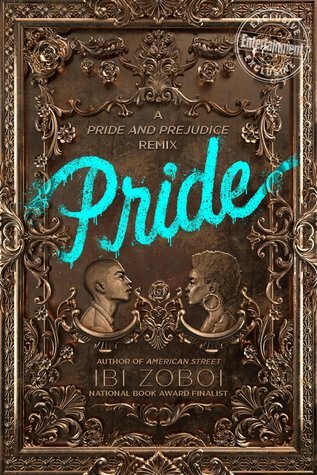 Which Pride and Prejudice do you love best? Can you sing along with Tony and Maria on “Tonight”? And do prefer Helena Bonham Carter as a young ingenue or as a crazy minion of the Dark Lord? Sound off in the comments!